This addon adds a convenient menu item that will reduce the number of your moves in the settings menu. 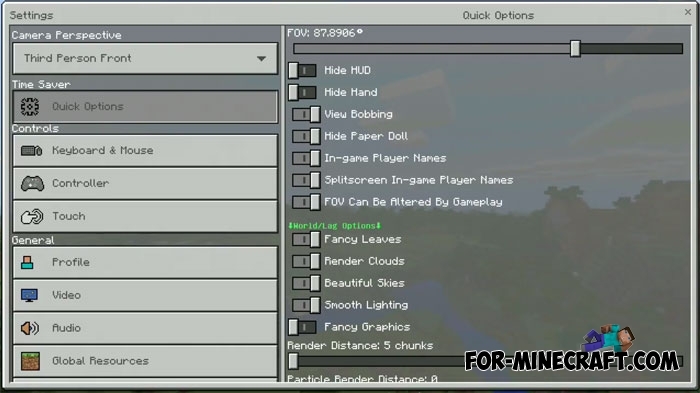 The addon is called Quick Options and consists of 14 settings that are most often used during the game. The bottom line is that the addon combines them in one place and you do not need to search for one or another parameter, all that is required for an excellent game is in the Quick Options tab. All available settings are shown in the screenshot. 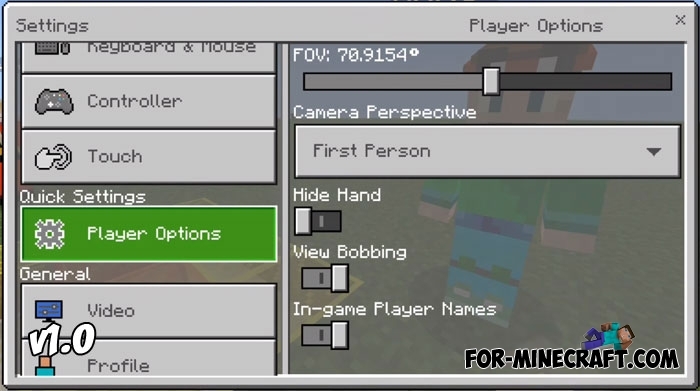 At the moment this is all but the addon is updated so new features not shown here may be added. Compatibility: any version of Minecraft Bedrock from 1.0 including 1.2.10. How to install the Quick Options addon?